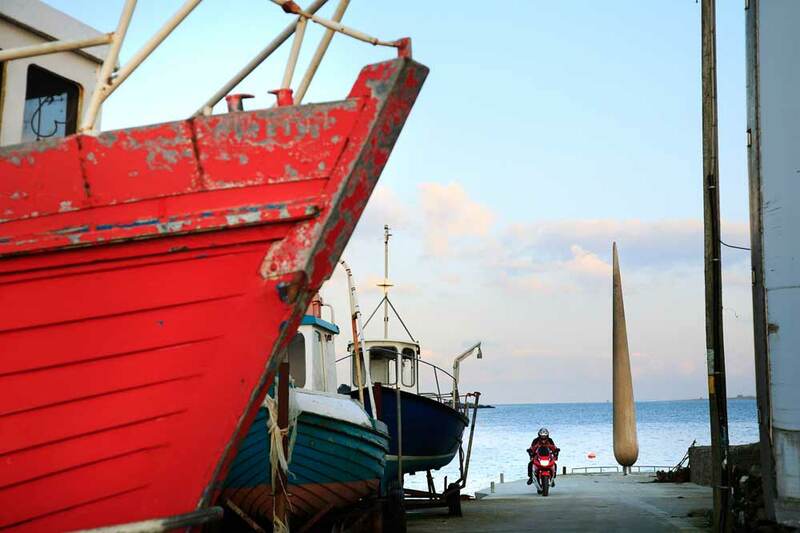 The artist’s design for the Moville sculpture The Fid looks to Moville’s maritime heritage for inspiration. Partly inspired by a fid, which is a tool used by fishermen for splicing ropes, the piece will stand over 30 feet high and over 3 feet wide at its base. 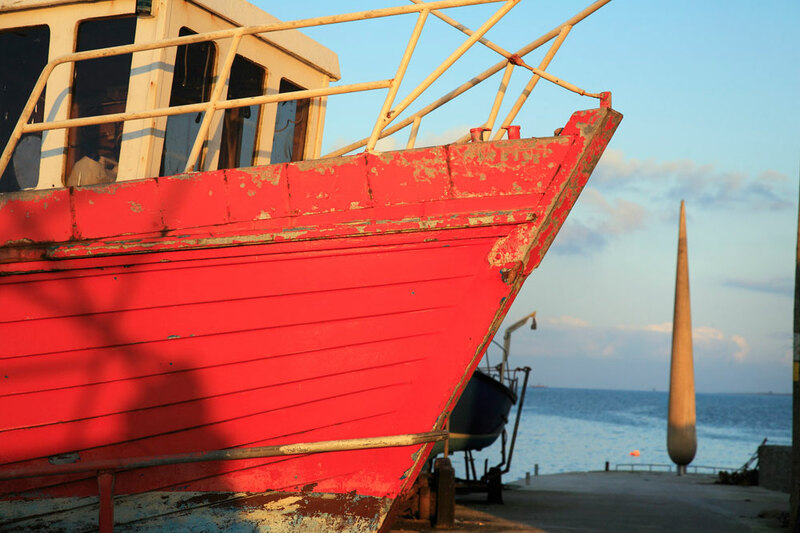 Sited on the Old Pier, an emblem of Moville’s rich maritime heritage - the Anchor Line ticket Office for the emigration boats was there - and this work was part of a broader programme of events commemorating the region’s shared emigration heritage with New Brunswick, Canada. Commissioned utilising the Per Cent for Art Scheme arising from Inishowen Housing projects Size: 30 – 40 ft Approx Medium: Wood Location: The Old Pier, Moville, Co. Donegal. The best vantage points for seeing Moville’s historic Old Stone Pier are an approach from on the River Foyle itself and looking down towards the pier from a height on the village’s shore green. The Old Pier is an emblem of Moville’s rich maritime heritage: the Anchor Line ticket Office for the emigration boats was located just off the pier; and the pier itself is one of the last complete 1880’s – 1890’s Congested Districts Piers extant in Donegal. This commission from Donegal County Council Public Art Office follows on from the artist’s commission for Pole Star, his large sculpture which has become an iconic feature for Letterkenny. 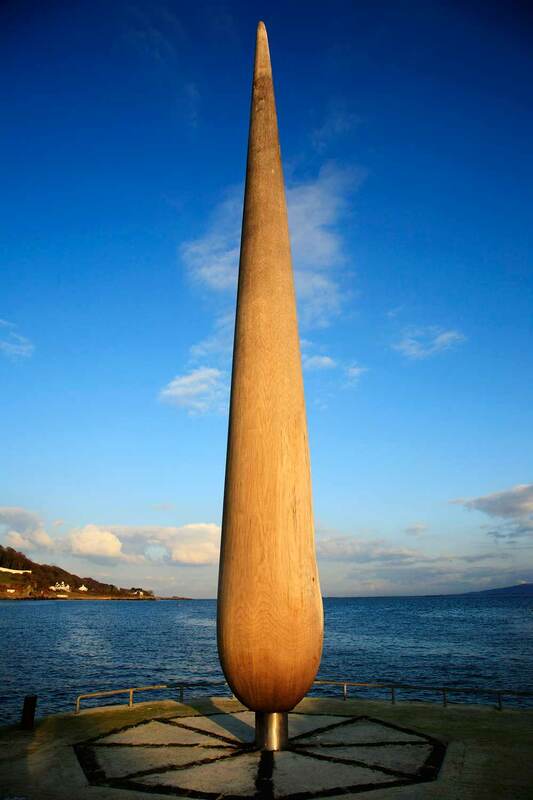 The Fid at Moville Old Stone Pier has its inspirations within the village’s powerful connections to the sea and seafaring. The artist’s conversations with local people uncovered tales of the beacon fires, which were once lit on the hills of Inishowen to mark the passage down the River Foyle of emigration ships. And in Greencastle Maritime Museum the artist encountered an example of a ‘fid’, the small handheld tool turned from a piece of wood, used by fishermen for splicing ropes and nets and by sailmakers for opening holes in the sails without tearing the material. The final sculpture both recollects those beacon flames and that form of a ‘fid’. It unites this elegant and flowing form with an assured sense of scale and location – standing over 25 feet high and over three feet wide at base, sited at the end of the pier, facing directly onto a beautiful and dramatic seascape. The Old Pier then, marks the village’s maritime heritage, for individual seafarers, emigrants and immigrants, their families, and the wider communities. 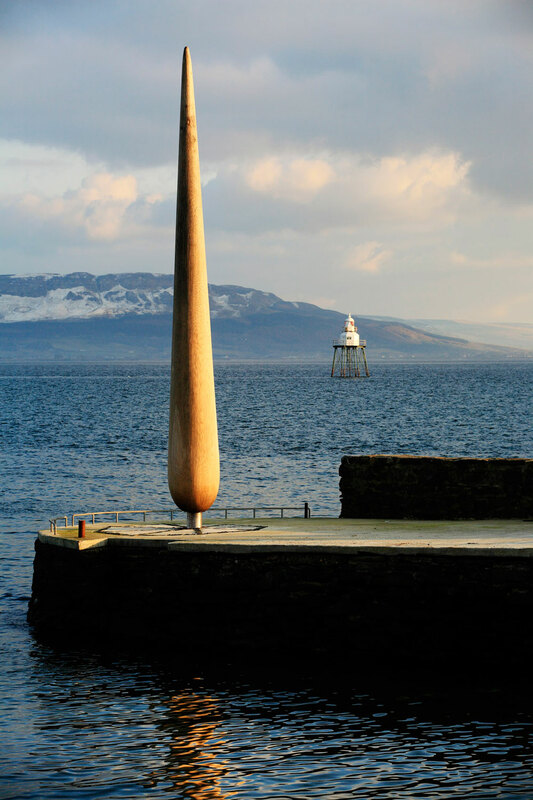 In many ways, The Fid itself will act as a beacon towards this location: concentrating our vision and our thoughts upon those links between sea and land, which have made Moville. The article above was commissioned for the book ‘Across the Atlantic: Emigrating from Moville and Derry’ which features a rich collection of articles and archive material. It is available from Donegal County Council Archives. For more information contact Public Art Office, Donegal County Council. Locky Morris was born in Derry in 1960, where he continues to live and work. He studied in Belfast and Manchester. His work has been exhibited widely including Directions Out at the Douglas Hyde Gallery in Dublin 1987, the British Art Show touring Britain in 1990, New North 1990 and Strongholds 1991, both at the Tate Gallery in Liverpool, Kunst Europa in Germany in 1991, the XLV Biennale Venezia 1992, L'Imaginaire Irelandais in Paris 1996, The Puffin Room in New York in 1998, the Ellipse Arts Centre in Washington in 2000. Throughout his career, his engagement with Derry City and its changing character has shaped his work, often showing in community centres and the street. For a number of years in the late nineties he concentrated solely on making music with his band Rare. The recipient of numerous awards he has just recently completed major public artwork for Derry City Council and held a solo show Home Entertainment at the Orchard Gallery.